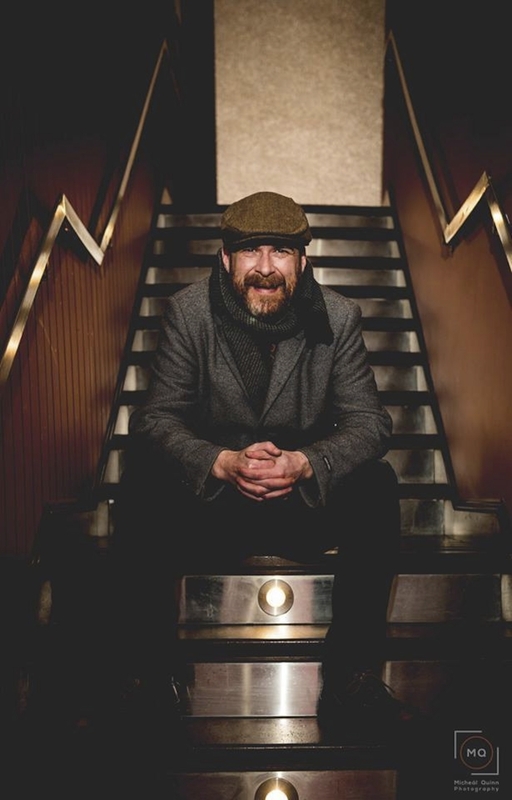 For most of the last decade, local music promoter, Finbar Hoban, was putting on shows in Castlebar, showcasing the best of local and national talent in venues all around the town. Earlier this year Hoban stepped away from the business, but he is back with a special Halloween show on Friday October 26, upstairs in Mulroy's Bar on Main Street, where it all started off for him almost ten years ago. The reason Hoban is coming back is a very personal one, the 38-year-old was diagnosed with Multiple Sclerosis (MS ) recently and he is putting on the show to not only raise money, but to raise awareness for the south Mayo branch of Multiple sclerosis Ireland. Speaking to the Mayo Advertiser this week Hoban explained: " The show is to highlight MS. Since I was diagnosed, one thing I have noticed, is that people do not really know much about it or have a grasp on what the disease is. I've been told I'm at the early stage, which is good, but of course I do not want it advancing. I'm blessed in one way as I have seen people who are far more advanced than me. "There is a lot of rumours and hearsay out there about the disease, most of which is nonsense. With MS you can still live a very happy and healthy life, depending of course on how far along you are. I have met people through the MS branch here in south Mayo who are of course worse than me and very advanced. I've been lucky - but what I want to do is highlight what the illness is." "I had not been feeling well for at least seven or eight months. I went to the doctor and told them my balance was not 100 per cent, I was getting quite dizzy and very tired early in the day when I should not be - because I knew I was sleeping well. "Initially, they thought it might be vertigo, so I got medication and went off and tried that, but it wasn't working. Then then sent me for a CT scan on my brain, nothing showed up on the CT scan, but when I went for an MRI it showed up on my brain then. They call them plaque lesions, I prefer just plaque. I don't know why, I don't like the world lesions. "I've seen scans of people with these plaques all over the brain. I'm lucky currently, I have six on my brain. I went back for another MRI in June this year and they found another small plaque on the right lobe of my brain. I will go back again at Christmas to see how it is going then." "I'm positive and I am doing very well - the south Mayo MS support group is so positive, the work they do is brilliant, they have very little funding and they do such good work with people and with the show, I want to give something back and raise money and see the money kept in Mayo." The gig will take place next Friday night, October 26, when Finbar Hoban Presents will return (for one evening only ) to present a night of live entertainment at the Halloween Ball, with local acts Algorithmn, Mervin Heverin and Michelle O'Sullivan upstairs in Mulroy's Bar. Admission is a €10 donation on the door and if you cannot make it along on the night and would still like to make a donation, there is a secure money box in Mulroy's Bar for this purpose.